Our developer team has extraordinary knowledge and experience in many fields. Our services include website design, development, eCommerce website development, web application development, cloud software development, mobile application development, SEO services, and overall digital marketing services. If you are looking for a web design company that can provide SEO, graphic design, content and social media marketing, you have come to the right place. MPS Info Services is innovators, creators, and designers who pride ourselves on also being the organizer. Let's get know about us and what we can do. We have a flexible design approach. We continuously and deliberately assist our clients in providing the best of the best in achieving classic technical, creative and business knowledge. As an experienced professional with deep and strong knowledge of best practices in web design and digital marketing, we will help you get off to the right direction from the very first day. Open source development is a great way for many companies to use their open source technology as a way to meet their business objectives. In MPS Info Services, we try to help our clients achieve their business goals through a wide range of open source software platforms and their effective implementation and expansion experience. Our expertise in open source technology is extensive. We are trying to practice most of the easy to use programs, that user can get a better user experience from it. Our project portfolio includes e-commerce solutions, travel website, social networking solution, business applications, content management solutions, CRM, classified, real estate website, multilingual website and more. We accent on providing high-quality open source solutions for PHP programs development, Joomla development, Drupal solutions, B2B open source solutions, e-commerce website development and long-term relationships with clients. We accept most of the widely used open source web development platforms. 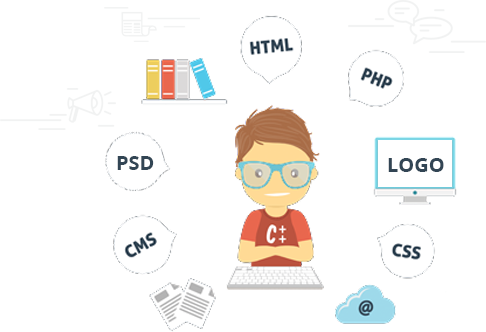 Our web development teams have powerful hand-experience in the use of various platforms for a wide range of web applications/solutions. Our developers are well-known in the following open-source development platforms. With a brilliant track record and proven innovative skill, at MPS Info Services, we have the experience in developing some of the amazing and advanced app ideas for our valued clients. Mps Info Services, we deliver customized mobile application solution to our clients, taking their business to the next level. We have matchless talent in designing, creating, and managing smartphone apps for all the major platforms - Android, iOS, and Hybrid Apps. We talk about new application ideas to help you bring your brand promotion with your potential clients and better connect with their customers. One of the greatest resources of MPS Info Services is our highly talented and highly experienced team of app developers, designers and application optimization experts.Our team will build strategies and master plans for you to making one step ahead from your competitors. We are one of the specialized mobile apps development company in Kolkata, India. We are committed to creating the best application for users and improving advanced digital experience.